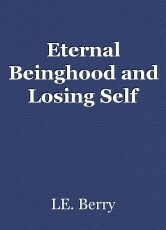 A theory of soul and self. In Buddhism it is taught that there is no 'self' and it is understood that self is not 'soul,' that which is the energy of continuance infusing the living human body. At physical death the soul does not end, but is merely tranferred. The soul is also the energy of equality and is without idenity. The self of idenity known within the science of psychology as ID is understood as 'spirit' in spiritual concept. So, how does the 'self' connect with the eternal energy of the soul? As always there is mystery in any theoretical, but when considering self, correct action would be esscential for a spirits continuance. It is through the brain via the mind that memories are kept and found, memories are ourselves, our spirits. So for instance, chosing to forget painful experiences on purpose can in theroy bring an end to self through human will.So, correct action by all would end the will to forget, the result being that all memories would be retained. This would bring forth a spiritual continuance finding connection with the permance of the human soul. Within the theroy, multiple lifetimes is also a factor as well. If the earth is our classroom and the lesson is life itself, we are here to learn in a space of spiritual evolution, where compassionate understanding though correct action comes to all. It is in this frutition,that all humanity as individual spirits in unity are fully realized as eternals, then to take a place in the active space of creation itself.